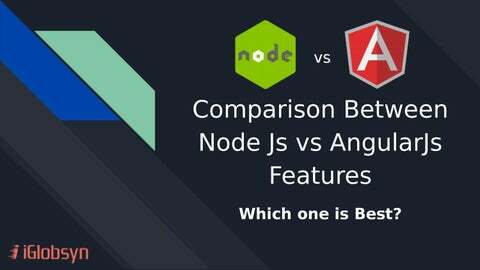 Comparison Between Node Js vs AngularJs Features Which one is Best? When it comes to creating web applications, nothing can beat AngularJs. 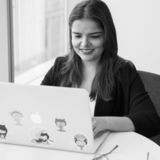 It has its roots in HTML languages and thus it makes use of the components of hypertext markup language to create gorgeous web applications. It enables the user to add dynamic modules to the mobile applications. When it comes to creating apps, it comes with the features that beyond your expectations. of Node Js can improve the performance of web applications. Node Js can be used for both vertical and horizontal scaling as well. single page applications. It let you optimize the codes easily and has various applications like auto data bindings, filters, directives etc. Js supports Unit Testing environment. Model view control architecture which is quite dynamic and lets the user access the dynamic view of client side app. open source software, you can use it for free as long as it pleases you. Comparison Between AngularJs vs Node Js Features- Which one is Best?